Note: The first time you open the app, it might need to download from the Amazon Appstore for Android. Tap again to open the app. 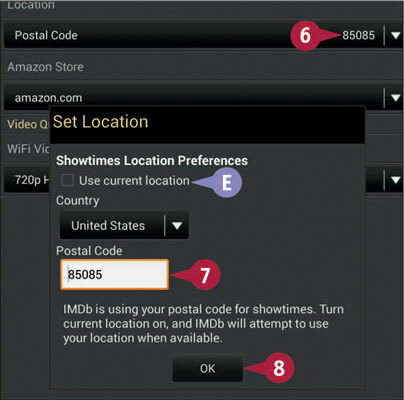 And, you are prompted to use your Amazon account or your IMDb account to sign in; tap the one that applies to you, then tap Start Using IMDB. The Navigation panel of the IMDb app appears. 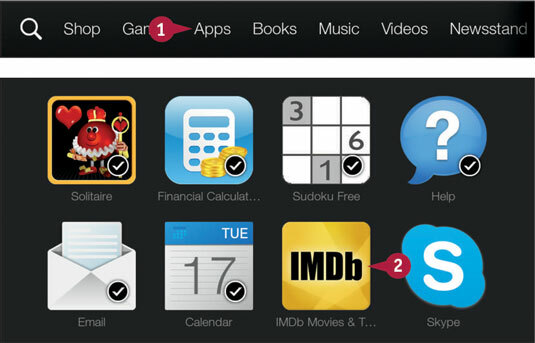 Tap Home to view the IMDb app’s Home screen. 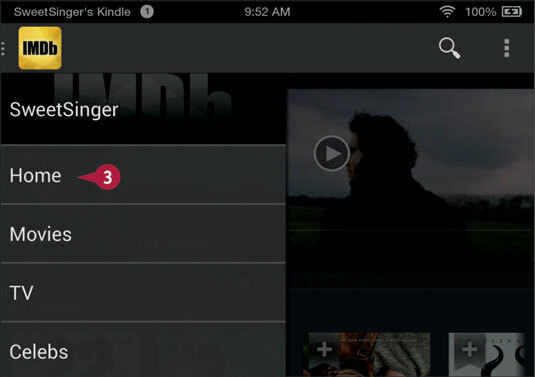 Swiping right to left in the section marked with an “A” displays available movie trailers; tap any trailer to watch it. Tap the icon indicated with the "4" to open the IMDb app’s menu. 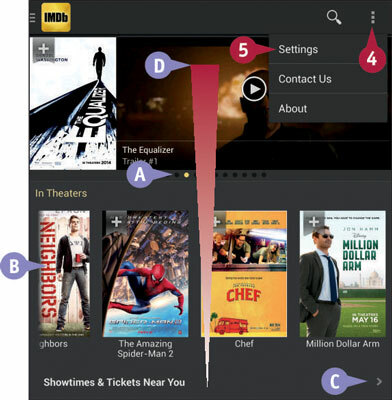 Swiping right to left in this section (B) shows recently released and soon-to-be-released movies. Tap any movie to view more information. Tapping C displays show times near you. Swiping up (D) displays more information on an item. Tap in the Postal Code field to set your geographic location. You can tap in this field (E) to use your GPS location. Tap in this Postal Code field to type and use your postal code (7). You can tap the Back arrow to redisplay the IMDb app’s Home screen.